and 'experience lab' - aimed at fostering creativity and teamwork in delivering new products and solutions for automakers. 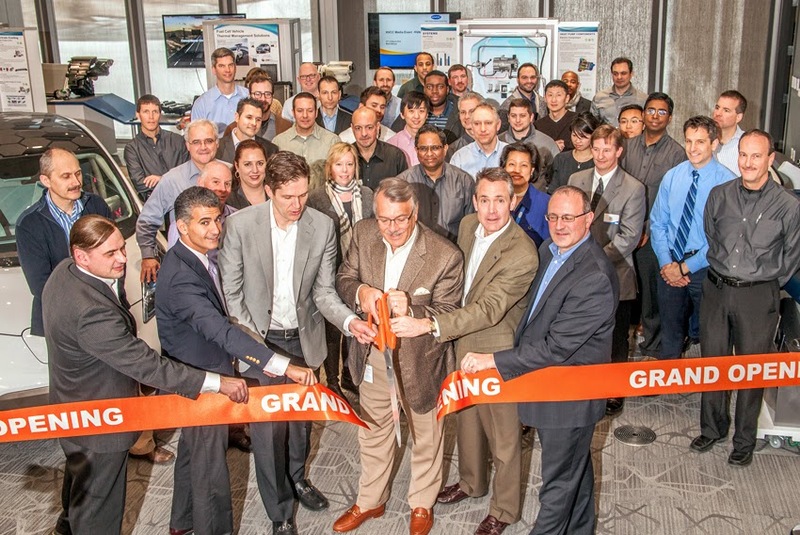 "The innovation center is a reflection of Visteon's global vision for developing leading-edge technology in our core cockpit electronics and climate businesses," said Timothy D. Leuliette, President and CEO, Visteon. "It provides a welcoming and functional workspace that encourages rich dialogue and an exchange of creative ideas among customers, employees and strategic partners." The progressive, 7,600-sq-ft innovation space was designed to offer a premium experience for customers who visit the center, as well as for the industrial designers and innovators who work there. "The inspirational appearance stimulates rich discussion while the collaboration tools ensure effective meetings,” said Tim Yerdon, Visteon's Global Director of Innovation and Design. The product showroom includes a blend of advanced concepts and products newly in production, developed by Visteon's electronics business and its majority-owned climate business, Halla Visteon Climate Control. From paint to lighting, the innovation center was designed to incorporate environmentally conscious materials in an aesthetically pleasing environment.